Amid all the controversy mainly directed at the AR 15 rifles lately I thought I would provide some visuals for people. I understand most of my blog readers already know what they look. In the general public however there are a lot of people who are unfamiliar with these rifles. 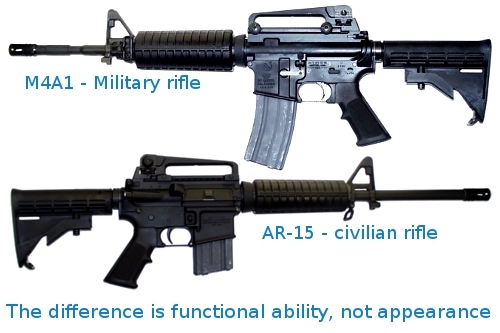 AR-15 Stands for Armalite Rifle not Assault Rifle as some people assume. Armalite was the name of the company that first made the AR-15 before the design was bought out by Colt. The civilian version of this rifle is in almost all most cases semi-automatic. The M-16 is a United States military adaptation of the ArmaLite AR-15 rifle not the other way around as some people think. 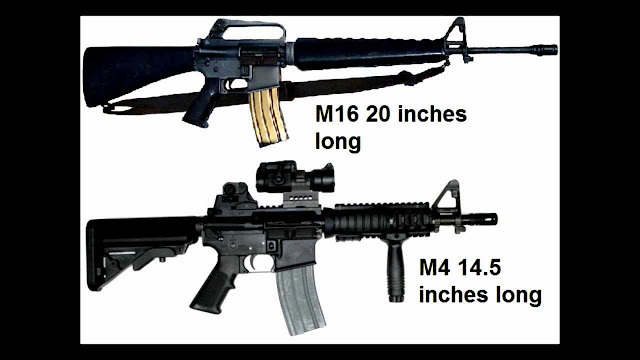 The M4 is just a shorter and lighter version of the M16 assault rifle. The AK-47 AK stands for Avtomat Kalashnikova, named after its designer this was and still is the primary rifle of the Russian Military and most other countries in that region. The modified semi-auto only version of these are sold in the U.S. as surplus weapons as well as new manufacture. 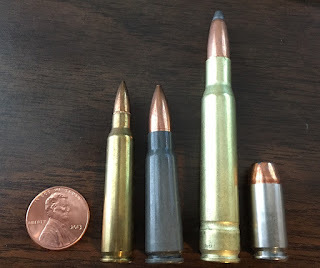 Above is a picture of a .223/ 556 which is used in AR15s And M16s, a 7.62x39 which is used in the AK-47, a 30/06 hunting round and, and a 9mm which is what most police carry. The .223 and the 556 are interchangeable, visually the same and can both be shot in an AR15 or M16. The 30/06 was the military's previous cartridge of choice in WWI and WWII (and is still in use) it is also a favorite hunting cartridge as well for deer sized game. 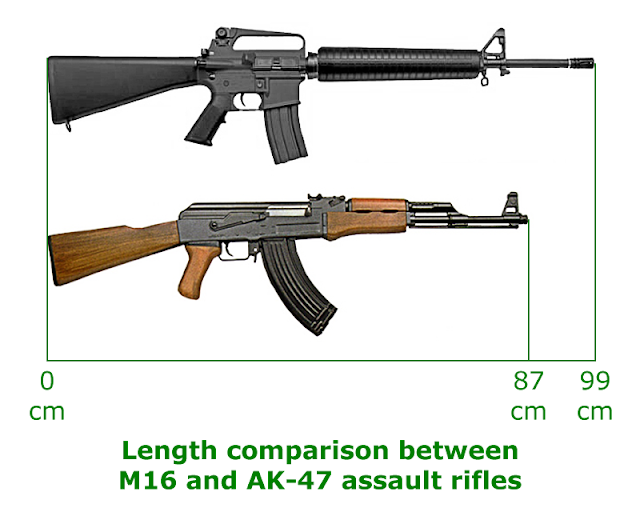 The 7.62 x 39 is used in the AK-47 Russian military rifle. The 9mm Luger is the most common pistol round carried by law enforcement. Military is supposed to be the protector of the civilians so people related to military has no intention to harm others unnecessarily but its the overall environment of the people that make them do so. Those who want to have some really interesting and useful guns may take help form the MA Gun License to know about them in detail and get them with proper licensing. When I was I a Kid, I bought pot for the guy down the street. At 59 yrs. old, I now buy medical marijuana from a licensed dispensary. A gun's a gun now matter who is using it. The solder in Afghanistan or the kid who just shot up the school. Guns kill more people every year that opiates do world wide.